Golden hill brewery. Wiveliscombe somerset.The Original Golden 'Single Malt' Ale. A natural glorious golden colour; its juicy malt aroma has just a hint of vanilla with citric hops. It starts bitter-sweet in the mouth and finishes dry and intensely hoppy. 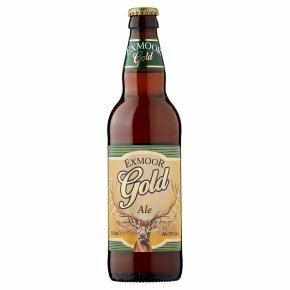 Exmoor Gold is brewed using traditional methods and the finest ingredients.